Caye Caulker was addictive beachy quicksand for me. Preparing for departure, it was like I had forgotten how to move. Every day from my hammock I watched people arrive off the water taxi, struggling with their luggage and trying to get settled. After staying put for two weeks the sensation of new arrival began to feel foreign. I got to know things so well I had a newbie guide prepared (pro tip: the fry jack stand is across from the bank and people go to the Split for sunset!). Constantly I saw the influx of new people around town and had my group of friends turn completely over three times. Even standing still nothing stays the same. But with my backpack zipper repaired, I got the itch to move on. How to spend my final day? What tribute should I offer this lovely place? I took out my camera and snapped a few shots for the food blog post, treated myself to an internet cafe (INCREDIBLY expensive here, apparently due to a government monopoly that screws everyone), and acted like a local: went to the grade school to eat lunch at their Cultural Day fair. I tried the Garifuna dish: fried fish with spiced coconut milk and mashed plantains. I bought a new bottle of purple nail polish but was then talked out of a pedicure. I prepared for my next stop–ATM cave near San Ignacio–by procuring caving reef shoes and selling a pair of yellow crocks back to a Chinese grocery for cost. 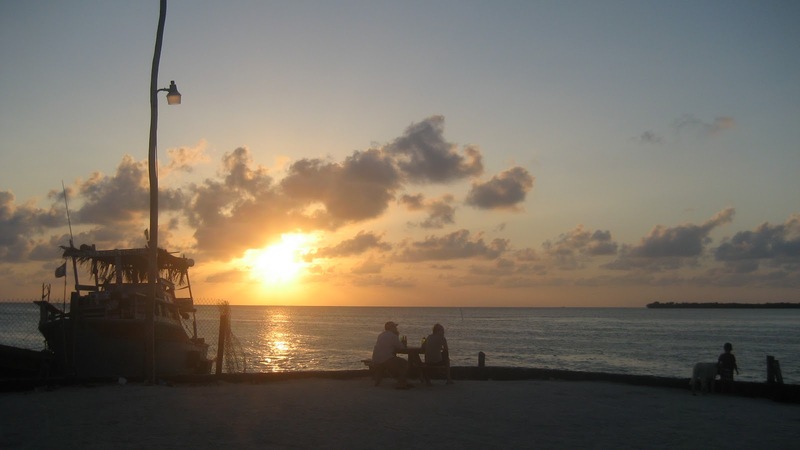 No day in Caye Caulker is complete without appreciating the sunset. 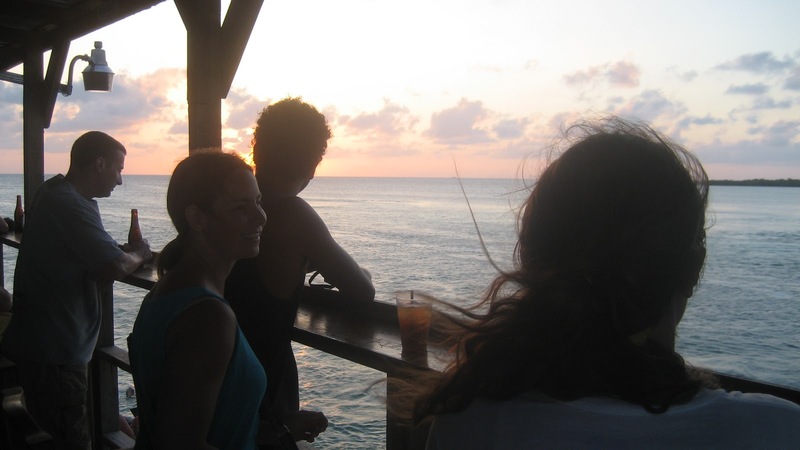 Spent it at the Split with my friends, enjoying the view from our usual spot on top of the bar. It was a blustery day, and it may not have been the best idea to wear my pleated black mini skirt, but it’s just so fun and swishy I couldn’t resist. 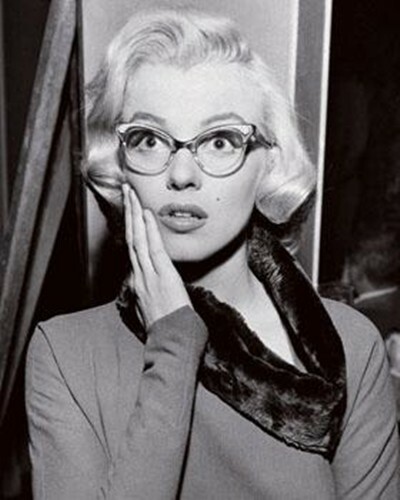 There were a few Marilyn moments, but that’s all part of the fun, no? The evening brought with it a brilliant full moon; whale sharks should be gathering off the coast of Placencia soon. It rose golden over the ocean as we ate a dinner of $1Bz wings and beer. That night I stayed in, swinging in a hammock and chatting the evening away. Among other things, I had my spelling corrected, was encouraged to swear more, garnered dating advice, listened to stories, tipped a cheeky Brit out of a hammock leading to another injury (I’m telling you people, for all their easy-goingness, hammocks are dangerous! ), drank Belikin stout with cookies, had a memorable Star Trek discussion, and stayed up respectably quite late for a last night. The water taxi porters just outside the hostel fence call out the departures every few hours, marking the course of the day like a call to prayer. “Belize City guys!” That’s my cue. 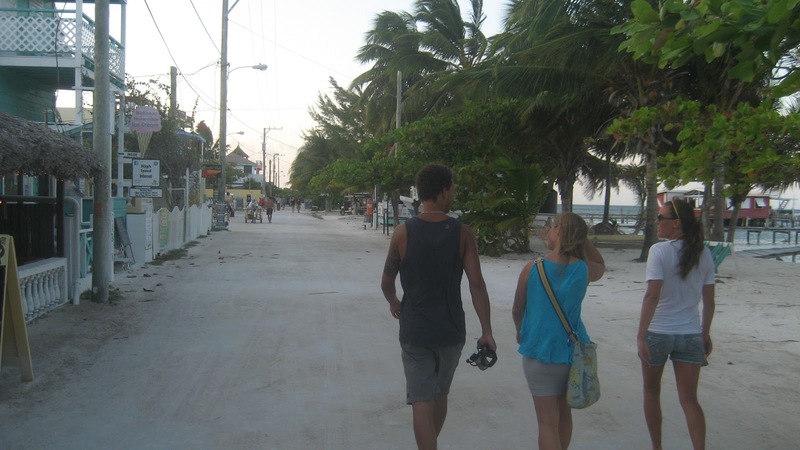 See you later Caye Caulker, surely. It’s been grand.